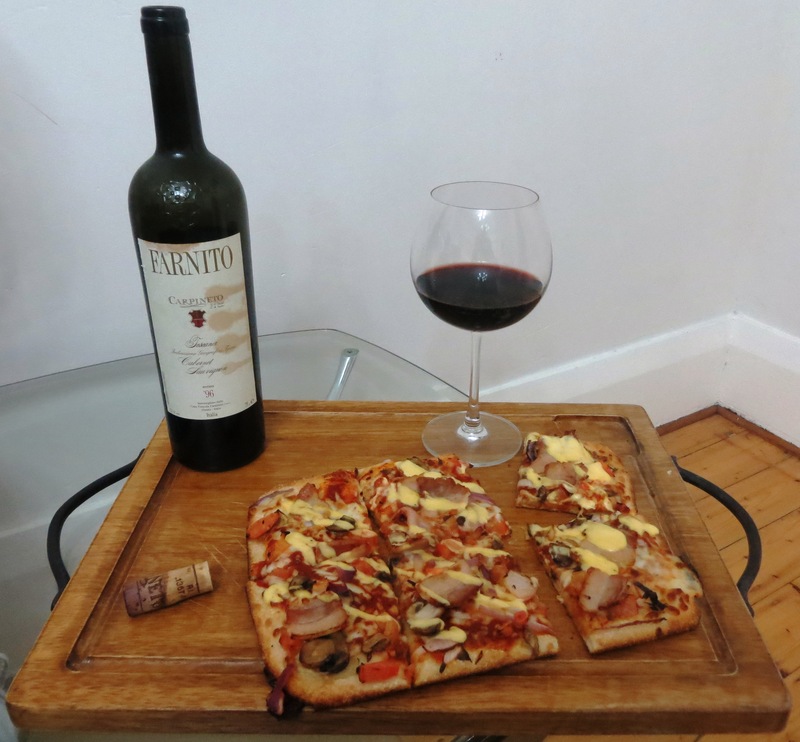 I’ve enjoyed a couple more of these Super Tuscans with pizza since I first posted this on our blog so I thought I’d update and re-share. Cheers! Late last week I picked up the wines I’d recently won at auction and I just had to open one up on Friday night. I don’t always drink old wines, I love young vibrant wine too, but I’m going through a phase and, for me, that’s what my wine drinking is all about. Each phase I go through opens my mind to a deeper experience with wine, so for now my posts will be weighted towards an aged wine experience. Previous I’ve been really getting into Tassie wine lately! Next Don’t be a wine wanker! Wine and Pizza…That’s whats for breakfast! When I read the title I though “uggggg pizza, what a passion killer for fine wine” but when I saw the photo started salivating, my instinct was stronger. Perfect combination! Oh that looks wonderful. What could be better? I just had a Thai chicken pizza with a white bordeaux and it was magnificent. Or should I call it a sauvignon blanc? It’s amazing (read:awesome) how wine can make ANYTHING and EVERYTHING fancy! Yep, it does do that!